The Diamond Producers Association has developed a new, FREE e-learning program offering educational material that goes beyond the 4Cs to highlight the intangible value of natural diamonds. - Compelling stories and facts about the history of natural diamonds, which retailers can use to tie into the emotional aspect of selling. - Gift card incentives for those who complete each module of the program. - The chance to win a grand prize for an all-expense paid trip for two to New York City which will include behind-the-scenes access to the diamond industry. 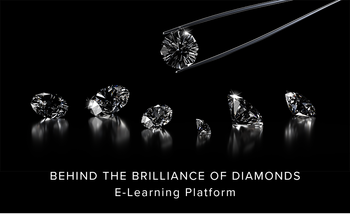 For FREE access to e-learning platform today, please visit: diamondproducers.com/login/. The Diamond Producers Association is an international alliance of the world's leading diamond mining companies who are united in their commitment to best-in-class ethical and sustainable operations and transparent business practices. Together, DPA members represent the majority of the world diamond production. The DPA mission is to protect and promote the integrity and reputation of diamonds, and of the diamond industry. For more information, please visit www.diamondproducers.com/.